I use a Bose sound system, powerful enough to fill any venue with crystal clear sound but very compact so I don’t take up valuable dancing space. I monitor the sound level so the dance floor is a good volume to build a party atmosphere but the guests still at their tables can hear each other speak. 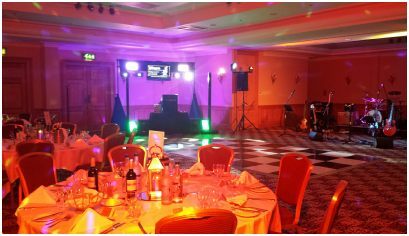 My impressive lighting includes LED flood lights and high power moving LED effects lights. The set-up is fully controllable to suit the mood of the evening and build the atmosphere. My music system is computer controlled to give me the ability to display music videos, sing-a-long words and old photos you wish to provide as a possible surprise for a birthday boy / girl! I have an eye for detail so I ensure any cables are totally hidden from sight. 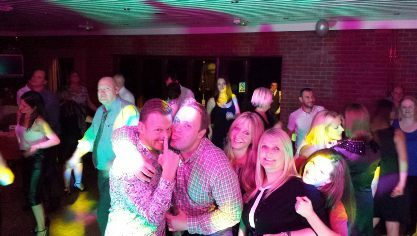 The music will suit your music tastes and that of your guests with song requests welcome throughout the night! 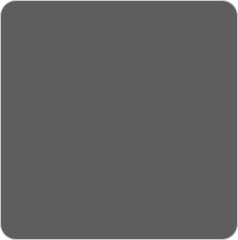 I specialise in mixing music sets to suit broad age mixes classic to chart hits. 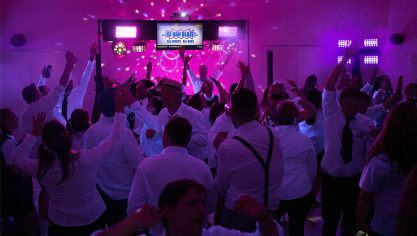 Song requests are always VERY welcome from yourself and your guests throughout the party and we will discuss your personal favourites in advance. 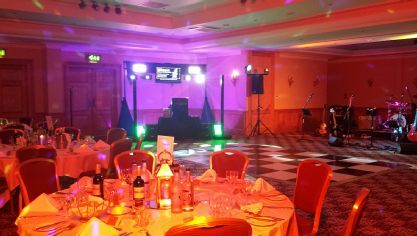 I have many reviews and video montage clips online to show the range I can mix into an event and keep a dance floor busy. 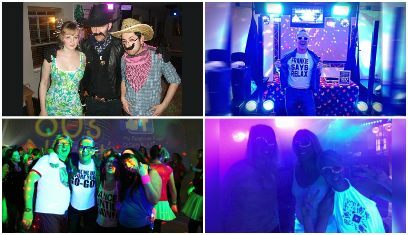 Most of the best party nights I’ve hosted have been fancy dress! 80s, 90s, Movies, Wild West, Halloween… I can theme the music to fit, co-ordinate a fashion show style ‘best costume competition’ with each costume receiving their own matching theme song. I can offer many cheap but very effective ideas to help decorate and dress up! 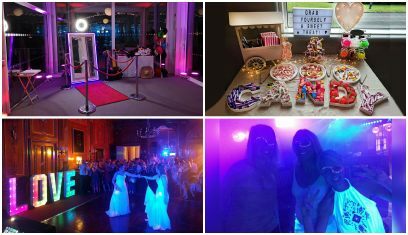 For a simple but unique twist you can book a UV party where I provide high power UV flood lights and neon face paint for simple patterns. Add some neon to your outfits and the photos look great! The UV package is an extra £50 I can also include personalised neon decorations. 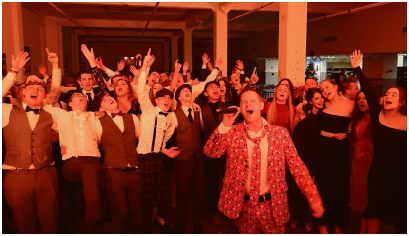 Many people shudder at the thought of Karaoke but I have developed a unique way of getting everyone involved in a sing a long during any event! I display the song words on screen during the disco. 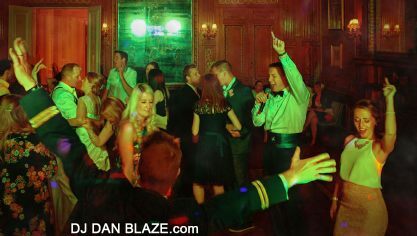 This allows guests to confidently sing along a little louder while they dance. A great help to boost the party atmosphere. It’s entirely your choice whether I hand out cordless microphones to your guests but in my experience when your guests sing along to the music they have thr safety net of the original artist as their backing singer. I monitor the sound levels so guests are never left to murder a song, if they struggle the original artist fills in the gaps.